It is 1918. Coming out of retirement, an aging Sherlock Holmes travels to Palestine with his 19-year-old partner, Mary Russell. There, disguised as ragged Bedouins, they embark on a dangerous mission. If they fail, the holy city goes up in flames. 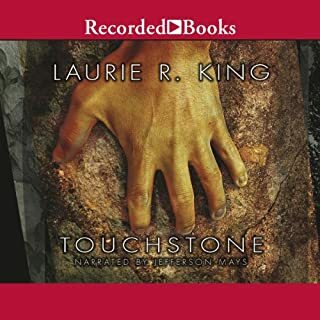 With her unerring flair for the dramatic, Laurie R. King packs this novel with bloodcurdling adventure, clever disguises, and layers of intrigue. Jenny Sterlin's superb voicing of the prickly Holmes and the fiercely intelligent Russell captures every nuance of their unconventional relationship. Funny, witty and lots of thrills with Mary Russell and her favorite detective. 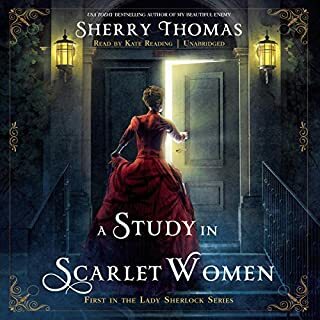 A wonderful installment in Laurie R. King's Sherlock Holmes influenced series. As always, the narrator is a delight. All 30 voices of her! and like to imaginitvely explore the geography (physical and spiritual) of the holy land circa 1919, then you will love this. I agree with other reviewers that this is not for those who want a fast-paced, straight forward mystery. I love the narration; in fact, I don't think I'd enjoy reading this series. But I can see that the very distinctive style is one that listeners will either love or hate, especially if they discovered this series first in print. A bonus: This fiction can actually help you better understand the Middle East and the aftermath of WWI - It sent me to listening to "Paris 1919" once I'd finished. Would you listen to O Jerusalem again? Why? I've listened to O Jerusalem several times. Jenny Sterling's narration bring all the characters to vivid life, and I shiver and laugh with them all through. I love the whole Russell / Holmes series but I think this is my favourite. I am so glad it appeared out of sequence! After "Monstrous Regiment", I felt that some of the sexual tension between Russell & Holmes disappeared ... it was great to go back to the "old days" and feel that unspoken tension again. This book has the very best final sentence of any book I've ever read. But do NOT cheat and skip to the last sentence without hearing the WHOLE book first! or it will mean nothing, and spoil it for when you do arrive there. First of all, I love Laurie King's writing and Jenny Sterlin is a remarkable actor. But I must admit, my mind wanders when listening to Oh Jerusalem. It's not the slower pace. I'm almost halfway and I still don't understand why Sherlock and Mary are wandering around Palestine. I feel a little lost. The book hasn't captured my interest....but...I will finish it. The Russell series is wonderful and I feel it's important to tough it out. 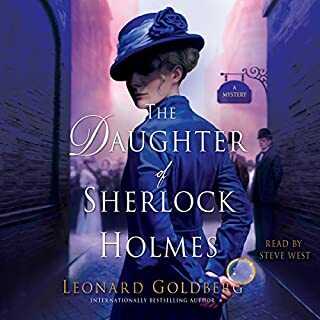 I really enjoy the Mary Russell/Sherlock Holmes series but, seriously, this is one of the most boring books I've ever read. It's rare for me to give up on a book but I became a chore to listen to this one. I don't know what happened to them in the desert and I do not care. I usually love Jenny Sterlin's narration but her voice in this one just made everyone sound arrogant. What made the experience of listening to O Jerusalem the most enjoyable? Everything was perfect from the narrator to the story. What was one of the most memorable moments of O Jerusalem? There are too many good points to really narrow it down to just one. The ending; which I wont spoil for anyone by posting here. This is easily in one of the very best books I've purchased. I will most likely listen to it more than once. The story was absolutely perfect. 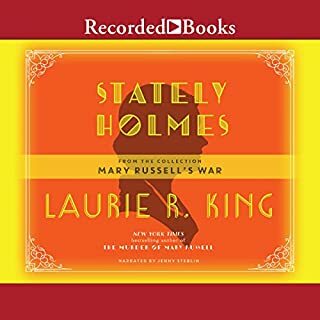 Laurie R. King does an excellent job of continuing the Sherlock Holmes. As well as an excellent story the narrator, Jenny Sterlin, makes you not want to put the story down. Best Mary Russell book thus far! This book has been my favorite in the series. So rich in culture and history! I couldn't get enough. Just wish it was longer! 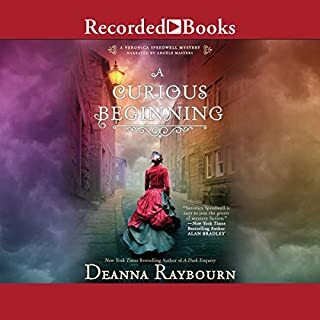 This, like the previous books of the series, is an excellent choice in audio books. The narrarator is highly expressive and seems to have an fine sense of the characters. The series in general is written discriptively, and for some may seem slow, but I have found them to be captivating. I highly recommend this series. Love the series but give this book a miss. 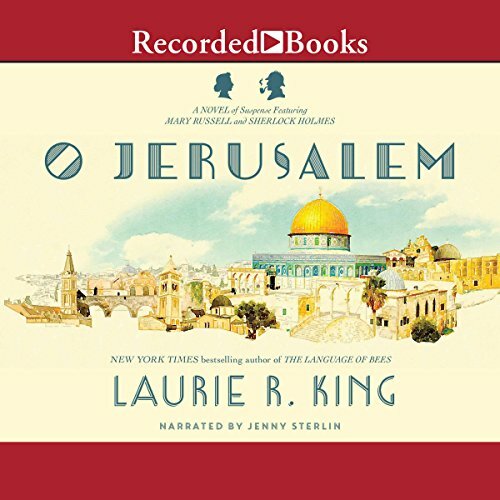 I love the Mary Russell series by Laurie King, but suggest people give O Jerusalem a miss. The circumstances and characters are just too far beyond believable (e.g., Sherlock Holmes & Mary Russell passing for Arabs) and the story drags endlessly, becoming more like an out-of-date travelogue than a solid story. The next book in the series, Justice Hall, fleshes out enough of the story line from this book. 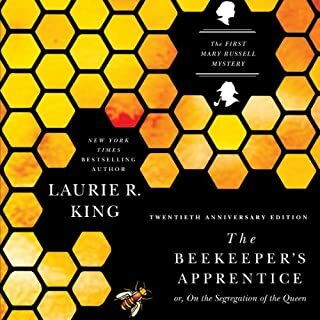 If you are new to the series, start w/ Beekeeper's Apprentice and don't let this one put you off.